“We stand by the recommendations and analysis of the Strathclyde Commission. We regard its recommendations as a starting point for further discussion – as a floor rather than a ceiling. It remains our clear policy that the Scottish Parliament should be responsible for setting the rates and bands of personal income tax for Scottish taxpayers and that a share of VAT receipts should be assigned to the Scottish Parliament. Any plans for further devolution which undermine the Union would run counter to the clearly expressed, settled and sovereign will of the Scottish people. Further, a new constitutional settlement for the Union must accommodate not only the interests and aspirations of Scots, but also the legitimate interests and aspirations of our fellow citizens in England, Wales and Northern Ireland. Sir Jeremy Heywood, Sir Bob Kerslake and Sir Nicholas McPherson, the three amigo’s who ran the UK, collaborated and plotted against Scotland, marshalling the full might of the British State, attacking the Scottish government and supporters of the “Yes” campaign. In the months after the referendum they publically expressed great satisfaction that their “Campaign of fear” had generated “fearties” in sufficient numbers so as to win the day for the Unionist coalition. “As civil servants you don’t get involved in politics. But for the first time in my life, suddenly we’re part of a political campaign. We were doing everything from the analysis, to the advertising, to the communications. The outcome of the 2014 “Scottish Independence Referendum” confirmed that the Tory government utilised every weapon in its formidable arsenal of civil servants and other bodies of state in its determined action against Scots who simply wished to be free of the brutal Westminster control which has bound Scotland to England in an illegal “Treaty of union” for over 300 years. Alert to the trickery and deviousness of the British State, Scots should ensure counter measures are in place before the next referendum preventing a similar outcome. A supposedly impartial organisation, the EC was formed in 2001, with a mandate that included, increasing public participation in democracy and regulating political donations. This was strengthened adding security arrangements for postal voting and a number of investigatory responsibilities. The guarantee of a strictly impartial Commissioner and support team is crucial to the success of the organisation and John McCormick, employed by the strictly unbiased BBC for 34 years, as Secretary then Controller of BBC Scotland, 1992-2004 was appointed to the post of Commissioner in 2008. His good friend, John Boothman, Head of BBC Scotland News and Current Affairs, and a former apparatchik in Scottish Labour’s high command, and the Herald’s one-time business correspondent refused to appear before the Scottish Education and Culture Committee at Holyrood stating that the BBC Scotland was not accountable to the Scottish Government or any other regularity body. They were subsequently ordered to appear by the Chairman of the BBC Trust and finally did so but stonewalled every question put to them. Boothman (finally exposed as a bully) was later removed from his post as Head of News and Current Affairs after a protracted struggle with staff and trade unions and transferred his employment to the private sector. But the failings of the EC were exposed following a number of Scottish elections in which there were tens of thousands of claims of electoral fraud, voters being turned away from polling stations and an insufficient number ballot forms. The Glenrothes by-election of 2008 fiasco where the boxes containing the counted votes went missing, preventing a recount, where the by-election victor held his seat. In the 2014 referendum Clackmannanshire voted “no” which was a body blow to the “yes” campaign since it had been accepted the electorate was pro- independence. Its recently appointed Counting Officer and Council Chief Executive, Elaine McPherson, who surprisingly resides in Cheshire, England, is a former business partner of the master of shady deals, Sir Philip Green, the notorious British tycoon and die-hard Zionist-for-Empire-and-Austerity. Mary Pitcaithly, Chief Counting Officer, of the independence referendum , is a qualified corporate lawyer and was second chair of the “Queen’s High Commissioner” Arbuthnot Commission which considered and recommended constituency controversial boundary changes and voting systems in Scotland. She then joined the Tory/Labour coalition in 2012 and played a major role in the organisation of the anti SNP “spoiler” Unionist biased Bannockburn 700 celebrations. In her referendum brief to the public she stated that there would be no national recount even if the result was close. The Smith Commission, boasted all of the talent of Annabel Goldie and Tavish Scott, alongside the egregious Tomkins who managed to squeeze in the most contorted and bizarre nonsense about ‘ethnicity’ into his commentary. His blog ‘Notes from North Britain’ railed against the idea that Scotland – with 1% of the population and 60% of the oil / 25% of the renewable resource – would be allowed to stay within the EU. Nov 2014: The Smith Commission – Hokey cokey and a naked Tory…welcome to Scotland’s future. But after weeks of bargaining behind closed doors and, frustratingly for the media, with barely a leak about what was going on, the story of what went on is beginning to be told. The SNP were first to break the consensus with John Swinney criticising the package agreed very shortly after putting his name to it. And that has brought forth a tide of niggles, nuggets and naked Annabel Goldie stories as each party jostled to claim credit for what was produced. It’s worth looking first at whether the Smith Commission proposals are worth claiming credit for. Hogging the headlines are the steps on income tax and welfare. Scotland will get the power to set income tax bands and will collect what’s raised in Scotland. The power to set the tax-free allowance remains with Westminster, though Holyrood can vary it upwards by setting a 0% band which would have the same effect. For all that it looks like a grand gesture handing Scotland control of income tax, there are sceptics. He says a 1p increase in income tax would raise around £400 million. In the grand scheme of things that won’t pay for a lot but it will lose a lot of voters. However, Professor Bell believes the welfare changes are significant. And that part of the agreement was one of the most hotly-contested. The power to create new benefits has been dubbed the “hokey cokey clause” as it was often in the agreement and then back out again. Goldie and Tomkins infuriated their fellow commissioners by constantly shifting position, at the behest of Iain Duncan Smith and George Osborne in Westminster. One opponent called them The Grand Old Duke and Duchess of York. As negotiations became increasingly heated in the final days a break was called at one point in order to try and pin down the Conservative position on whether all elements of the new Universal Credit including unemployment benefits were up for discussion. A so-called “coffee break compromise” was drawn up, only for the Conservatives to trash it soon after on the orders of the two amigo’s at Westminster. That then left them with no room for manoeuvre when it came to granting Scotland the power to create its own benefits. The biggest study yet of how Scotland made its historic decision on 18 September 2014, found that the votes of people born outside Scotland were crucial to the result. That’s a significant number in a contest that ended with 2,001,926 votes for No and 1,617,989 for Yes. 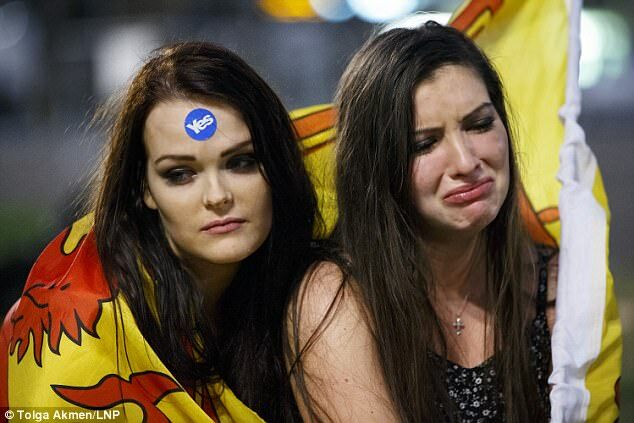 Voters born outside the UK also rejected independence, with 57.1 per cent voting No. She continued, saying that the trend she found was similar to those seen in other independence votes in places such as Quebec in Canada. he divide was even wider when it came to age. 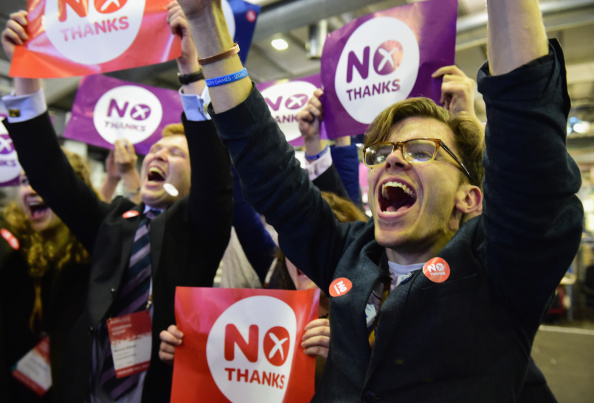 More than 62 per cent of voters aged 16 to 19 backed independence. But 50 to 59-year-olds, 60 to 69-year-olds and voters aged 70 or older were all in the No camp, with the pro-Union majority getting bigger the older they were. 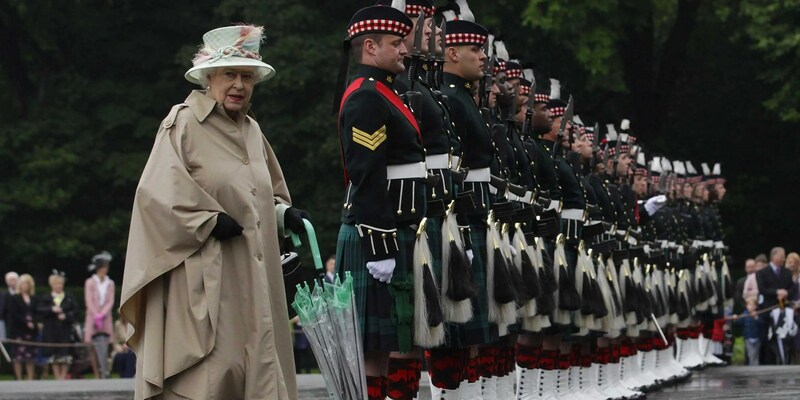 Nearly two thirds of 70-something Scots voted No. Wealth and social status also played their part in deciding how the nation voted. Yes had majorities among people who classed themselves as working class, people at the bottom of the earnings scale and people in rented social housing. Ailsa also found a “stark difference” between the voting patterns of protestants at Catholics, with Catholic voters far more likely to be Yes supporters. 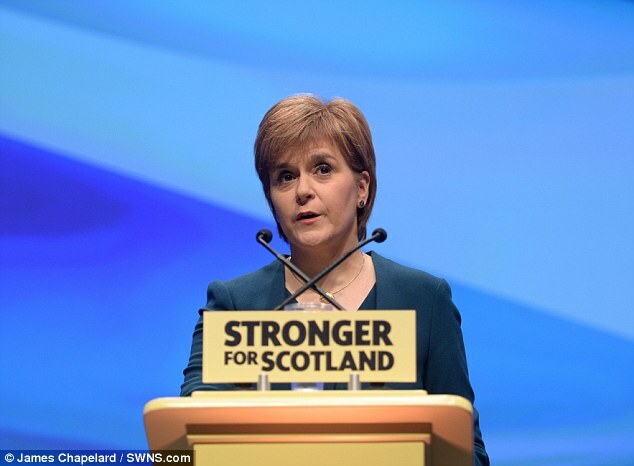 In the Scottish Independence referendum the voter list included anyone over the age of 16, entered on the current electoral roll, whose place of residence was in Scotland, regardless of nationality. The usual caveats about Service personnel also applied. There is an acceptance within Scotland that in the referendum a majority of the 240,000 EU and Non EU Immigrant voters and many voters of Scottish birth and residence had been persuaded to vote “No” frightened into submission by an incessant campaign of disinformation orchestrated by the UK Civil Service, Westminster politicians, the UK government and opposition Parties and their organs of abuse, the BBC and all other media outlets serving Scotland. Indeed not long after the referendum Unionists “crowed from the rooftops” fighting each other for media space each claiming their disinformation output had been the most influential in gaining the “No” vote. But the award should go to the Civil Service anti-independence team working out of Downing Street under the guidance of Sir Jeremy Heywood, Cabinet Secretary and Head of the Civil Service. An incredible claim since the public had witnessed sealed postal votes being added to the other votes to be counted in at the counting stations.